A well trained and controled mind stands a man in good stead, better than armies. It saves him from cowardice as well as perils. Who is eligible to join Chinmaya Mission? is welcome to join the Chinmaya Mission; irrespective of caste, creed or nationality. The gamut of activities of the Mission allows one to choose an activity suitable to their personality, age and area of interest. Chinmaya Mission has something to offer for everyone – from newborns onwards! Spirituality is for one’s old age/ a post-retirement pastime – why should I get involved now? To lead a life of fulfillment, joy and dynamic action – one needs the foundation of values and clarity in thought. The sooner these are gained – the earlier is one able to comprehend and apply them in one’s life. Thus, the need to start as early as possible. What practises does a Chinmaya Mission member have to follow? All that a Chinmaya Mission member needs to follow is the principle of ‘being good and doing good’. The core spirit in Chinmaya Mission is jnana (knowledge) – where individuals are encouraged to understand one’s Self. There is no rigid scheme of practices that a member needs to follow. Individuals may choose their path and make self-effort to progress at their own pace. How do I become a member of Chinmaya Mission? What is the main philosophy of Chinmaya Mission? The philosophy on which Chinmaya Mission’s teachings and activities are based is the philosophy of Advaita Vedanta, as propagated by Shri Adi Shankaracharya (788-820 CE). This philosophy speaks of the One Reality. Does Chinmaya Mission give deeksha/ initiate people? Chinmaya Mission does not give mantra deeksha or initiate people as such. Students who have completed the two year residential Vedanta Course at any one of the Chinmaya Mission’s Gurukula (Sandeepany Sadhanalaya -hyperlink) are given deeksha as Brahmachari/ Brahmacharini (in yellow robes) to serve across the globe for the propagation of knowledge. After a few years as Brahmachari they are initiated into sannyaasa and called Swami/ Swamini (in orange robes). Who in Chinmaya Mission is eligible to give deeksha/ initiate people? The Worldwide Head of the Chinmaya Mission -Swami Tejomayananda – is the only one who may give deeksha in Chinmaya Mission. 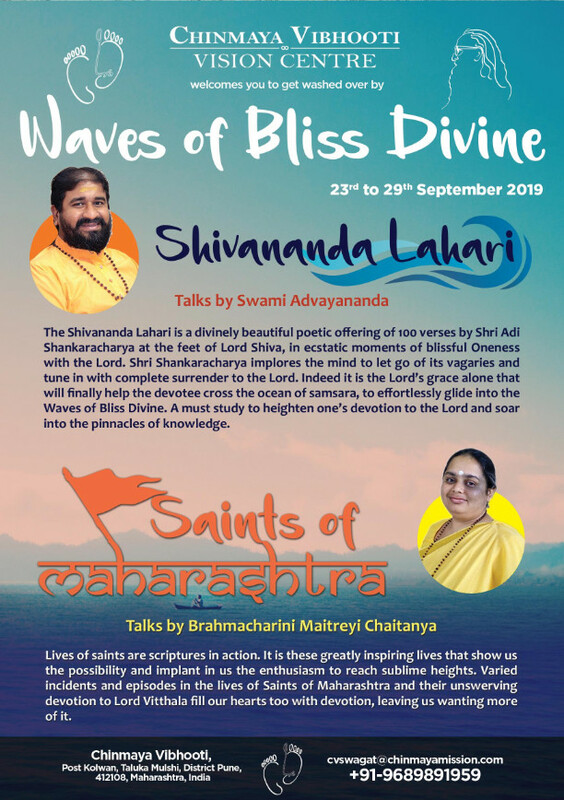 How is spiritual growth assessed in the Chinmaya Mission? There is no formal system of assessment of spiritual growth in the Chinmaya Mission. Individuals through study and satsang are able to access themselves and know they are growing if they find themselves calmer, more contented, happier and less dependent on things or people for their happiness. Which deity does Chinmaya Mission worship? How is Chinmaya Mission different from other religious organisations? That Chinmaya Mission’s teachings are based on the Prasthana-Trayi (i.e. Brahmasutras, Upanishad and Bhagavad Geeta) – is what makes Chinmaya Mission unique. It is not the teaching of one particular Master – but the wisdom and ancient teachings of the Rishi parampara which is shared. Another unique aspect happens to be the language and ease of access of this knowledge. It is made available for all, in the English language – which happens to be the most commonly spoken language across the globe today. Knowledge is also available in Hindi and in various Indian regional languages as well as some languages spoken outside India. 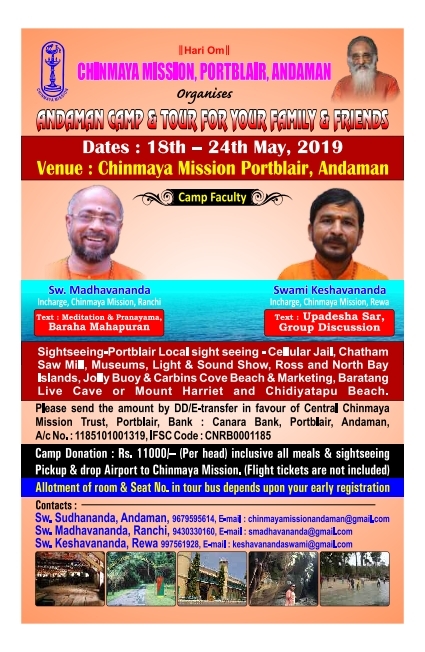 Is there any fee to be paid for participating in Chinmaya Mission activities? 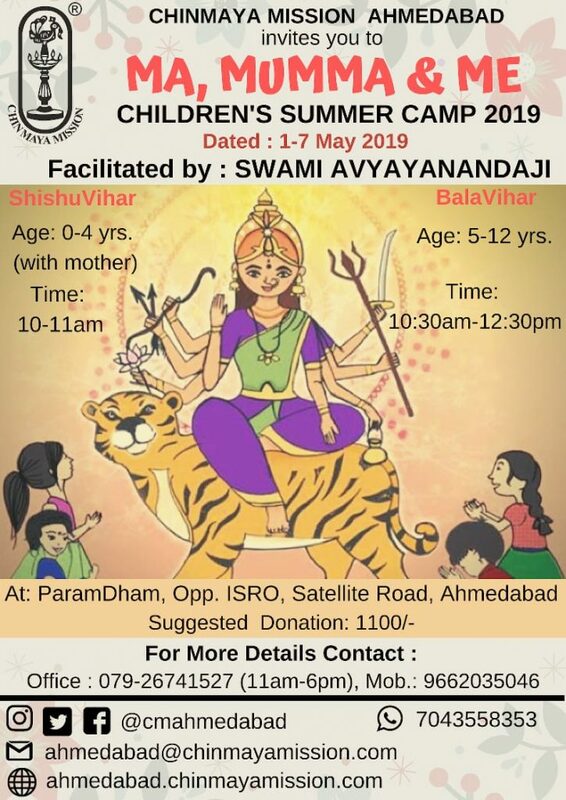 To participate in any of the grass-root activities of the Chinmaya Mission (Bala Vihar, CHYK, Study Groups and Yagnas) there is no fee. However, camps,workshops and specific activities do have nominal donations. Magazines have subscription rates to meet printing and postage charges. How does Chinmaya Mission manage its need for financial and other resources? Most financial resources are obtained through donations and contributions made by beneficiaries of these activities. Certain research and rural development activities are supported by Grants. Some infrastructural facilities are also given as donations. Human resources are sometimes professionally hired. In addition, Mission members and others who have benefited, that is, people of all ages offer their expertise and skills in serving full-time or part-time at Chinmaya Mission. Who do the terms ‘Gurudev’ and ‘Guruji’ refer to? Pujya Gurudev is the reverential name for the Founder of Chinmaya Mission – Swami Chinmayananda. 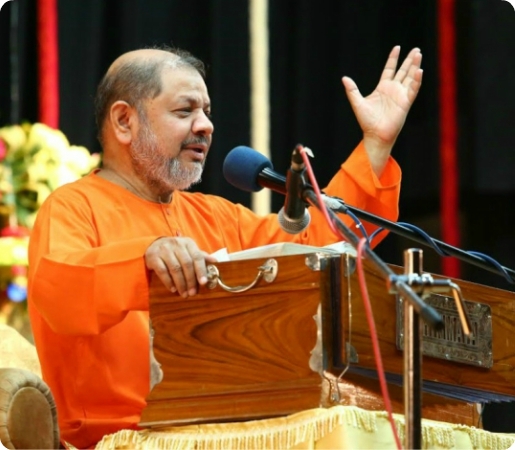 Pujya Guruji is used to reverentially address the current Worldwide Head of the Chinmaya Mission – Swami Tejomayananda; who has been leading, administering and guiding Chinmaya Mission activities since 1993 – after the Mahasamadhi of Gurudev Swami Chinmayananda. How shall I be benefited by joining Chinmaya Mission? The greatest benefit is the access to opportunities to learn and study; thereafter to grow at one’s own pace. With time, one also gains the support of the entire Chinmaya Mission family. Just as education equips a child so that he can take care of himself when he grows up, similarly, the wisdom of Vedanta prepares an individual for all life situations. Swami Chinmayananda’s poetic words reveal how individuals gain from the Mission: “Chinmaya Mission will never teach you anything, but it is an organisation where we all come together to learn. The science of Realitytand the path of God-realization are the main subjects that you will learn in the Chinmaya institution There are subsidiary attempts such as sharpening your personality, blazing up your intellect, oiling your emotions, refitting your relationships, recharging your convictions, replenishing your values — in short, you’ll die, and in your place a more brilliant man will be born. If you are ready for this Self-resurrection, come to the cavalry — Chinmaya Mission. Our mission work is to replace the ‘beast’ in us with the “best” in us. 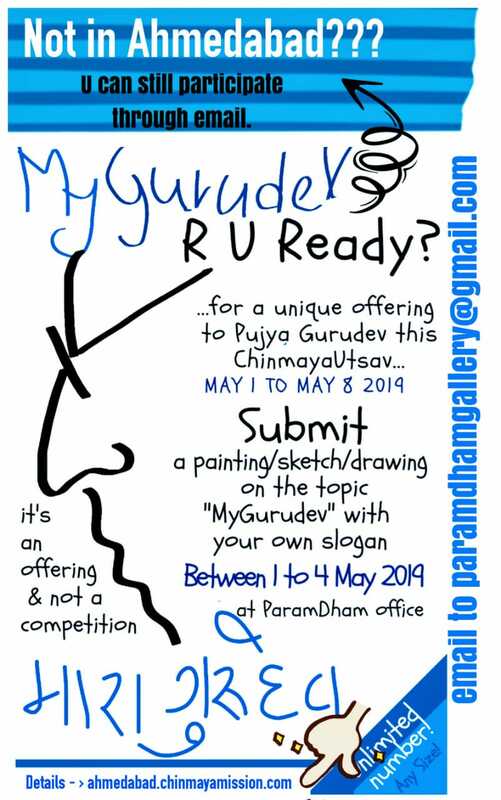 Will Chinmaya Mission be able to help me find a Guru / help in my spiritual progress? Chinmaya Mission as such does not take the responsibility of helping people fine their Guru. It functions on the premise that when the student is ready – the Guru appears. Chinmaya Mission Acharyas are however accessible for getting support on one’s spiritual journey. 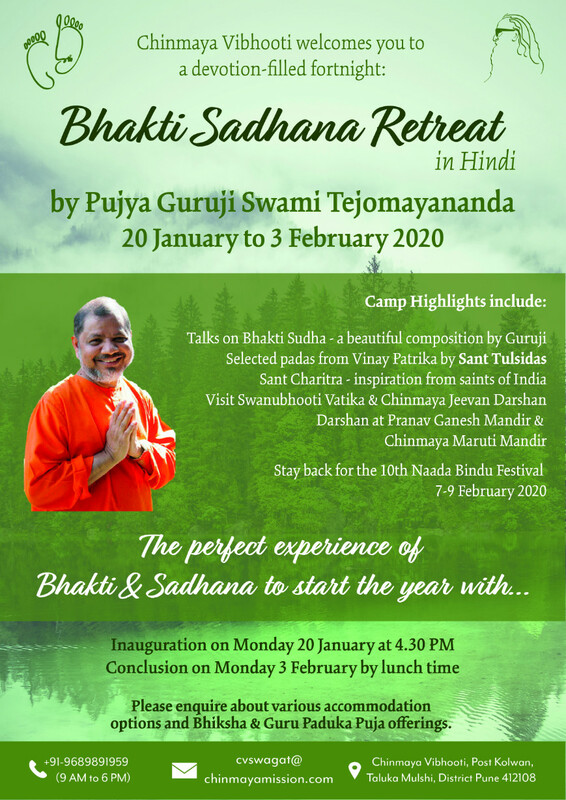 I have already taken deeksha from another organisation – will participating in Chinmaya Mission activities come in the way of that? 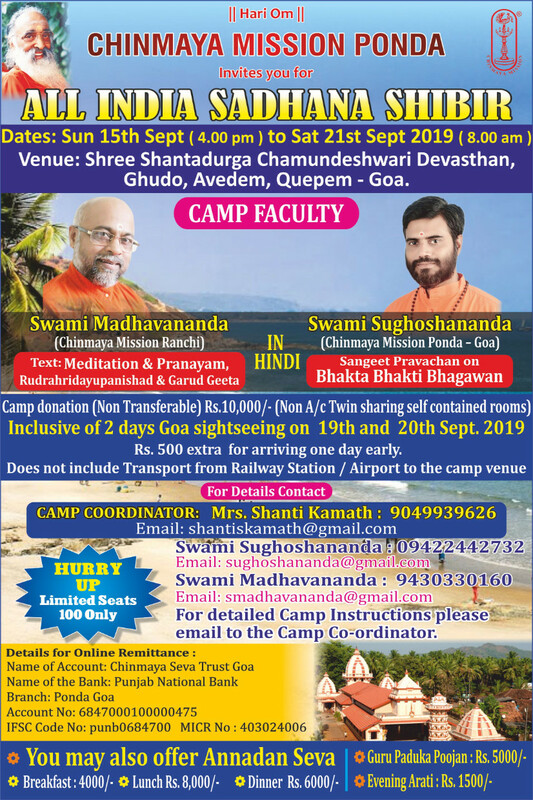 Chinmaya Mission is accepting of people who have taken deeksha from other organisations as long as the individual is comfortable about participating in Chinmaya Mission activities. Since there is no insistence on formal rituals or practices on Chinmaya Mission members, other than ensuring one’s own spiritual progress – Chinmaya Mission activities should not come in the way. Which is the nearest center from my place? Please visit the list of centres by clicking hereto locate a Centre closest to you. What are the activities conducted at the center where I am located? To know what activities are conducted at the Centre closest to you – please contact the local Mission Centre for details. 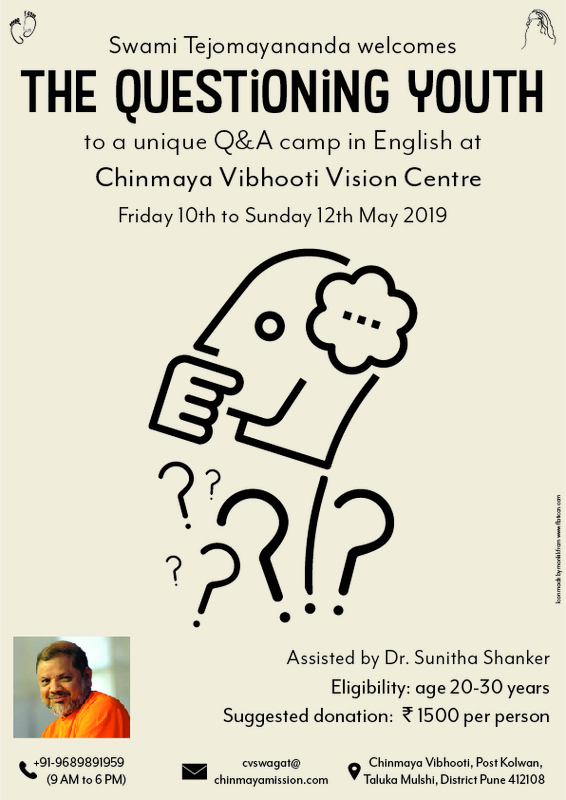 How can I keep myself up-to-date about the Chinmaya Mission activities? Subscribing to the local Centre’s news bulletin or joining their e-mailing list shall help you keep abreast of the activities at the local Centre. 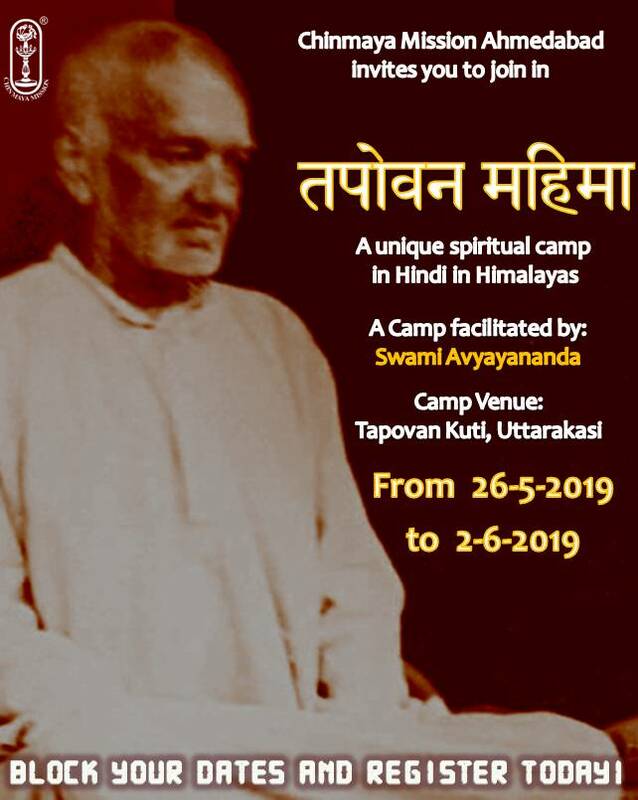 To know of the activities (past and forthcoming) across Chinmaya Mission Centres – you may subscribe to Tapovan Prasad (hyperlink Tapovan Prasad page here) – the monthly international magazine of Chinmaya Mission worldwide. There seems to be a plethora of websites giving information on Chinmaya Mission. Which is the one I should rely upon? The official website of Central Chinmaya Mission Trust(CCMT) is www.chinmayamission.com. Regional or Local Centres/Projects often have their own local websites. These may be center/ city/ country/ region specific. You may sometimes find more detailed information in a local website. We would recommend visiting the CCMT website mentioned here as also the local one pertaining to your area to get more detailed information. I wish to donate to Chinmaya Mission. How may I do so? There are various ways of donating for the activities of Chinmaya Mission. You can pay by Cash, by Cheque or through On-line Payments. For more details follow the donations link on this website. In India and certain other countries, you can also get a tax-rebate on the donations you make for Chinmaya Mission activities. Can I donate for a specific project? Yes it is possible to do so. While making your donations, do specify clearly the activity for which you wish to make your donation. I would like to volunteer / work with the Chinmaya Mission. How do I go about it? Opportunities to volunteer with Chinmaya Mission are available at the local Centres and also at various projects and even the Headquarters at Mumbai, India. 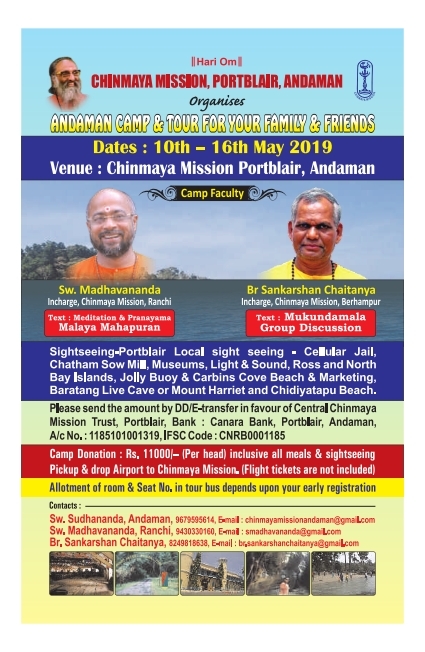 There are various ways of working towards the activities of Chinmaya Mission depending on how much time you can devote for them.. You can work either part or full time. 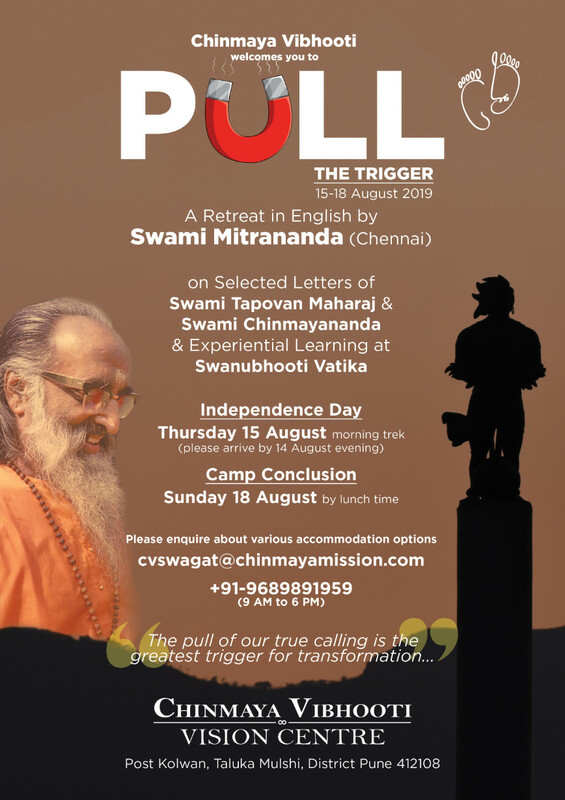 If you are young and with few liabilities, you may want to work as a Yuvaveer wherein Chinmaya Mission prepares you with certain skills for 3 months after which you work for the Mission for 9 months at one of its centers. 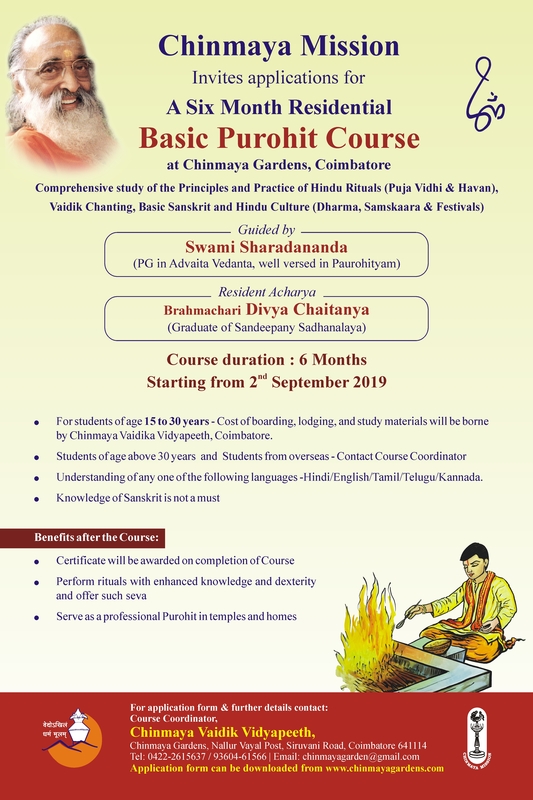 Those who are committed to give their life for Mission activities, below the age of 30 years and unmarried can join the 3-year full time Vedanta course and subsequently work for mission as Brahmachari and then as a Swami. There are also opportunities to work as volunteers for specific activities like camps or Jnana Yajnas. You may contact your local Mission Centre to volunteer / work in your area. What has been Chinmaya Mission’s contribution to the world? Chinmaya Mission’s greatest contribution is that it has preserved and propagated the knowledge of Vedanta across the globe. Besides this, Chinmaya Mission has contributed in the social, rural development, academic and research; medical, educational, cultural fields (to name a few) – for the benefit of all. Chinmaya Mission has given millions of people the opportunity to avail of its offerings and lead more fulfilling lives. It has empowered individuals to become happier citizens of the world. What is Chinmaya Mission’s stand on the current chaotic state of the world? Chinmaya Mission’s Founder, Swami Chinmayananda said ‘You change, and the world around you will change.’ It is with this vision in mind that Chinmaya Mission’s youth wing has planned a three-year, three-phased national programme ‘Transforming Indians to Transform India’ (TITI) – a national movement which aims to transform the core of the country with the vision: ‘My Transformation Transforms Nation.’ For more information please view the TITI website. What is Chinmaya Mission doing to bring about a change in the present world situation? 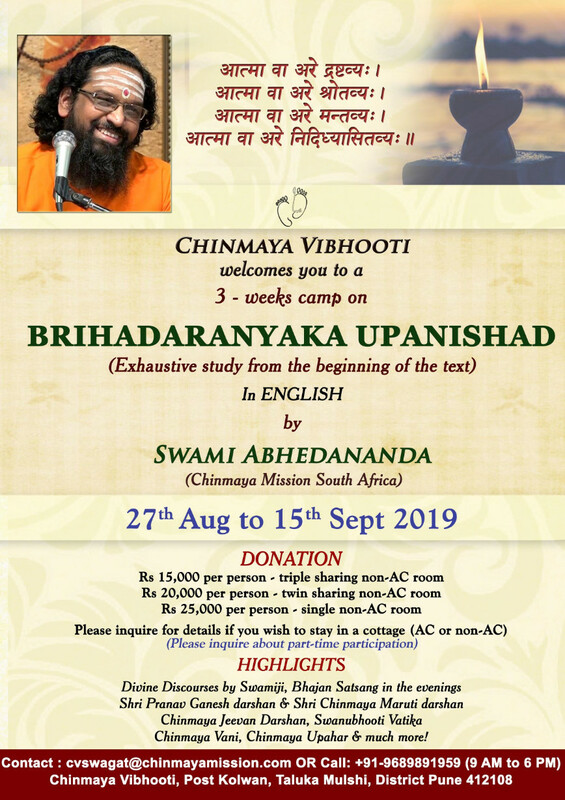 Chinmaya Mission Acharyas, sevaks and devotees continue to learn, share and lead happier lives so that they contribute to society one more happy individual. Chinmaya Mission also contributes in cash, kind and service in times of natural calamities. The Chinmaya Organisation for Rural Development (CORD) is working in some parts of India and Sri Lanka to empower the rural population in various ways. Please visit the CORD section for details. Through its many educational institutions, hospital, School of Nursing and grass root activities – Chinmaya Mission is impacting various facets of people’s lives for making a more peaceful and happy society.